While working on a commission piece and also while working on another portrait, I felt inspired to visit Blick and get some different papers to experiment on. Also, I wanted to try my hand at some quick original drawings that I could work on in a few hours and sell the original of to anyone interested. 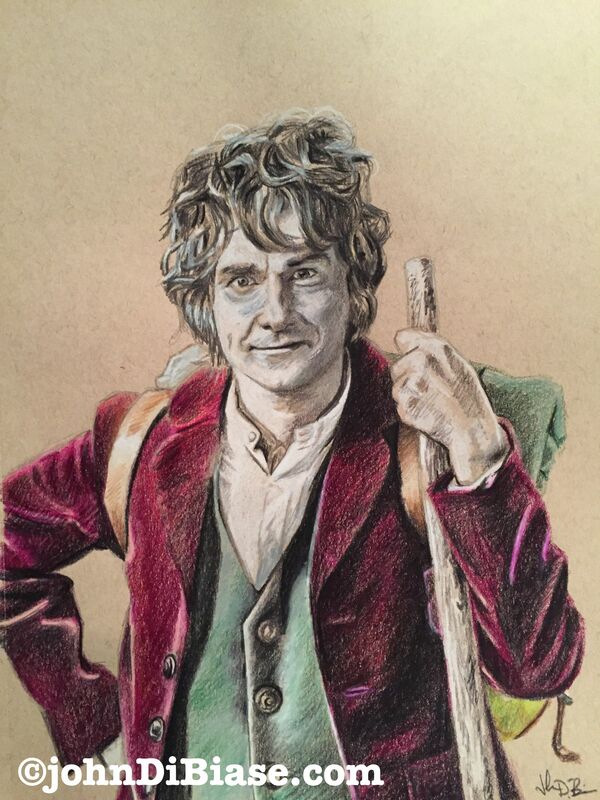 I started with this one of Martin Freeman as Bilbo Baggins on Toned Tan paper using some graphite to lay it out freehand and then colored pencil to fill it in (and also lay out the rest). This one took about 3 hours while watching TV as I worked on it. The original is currently up on Etsy with prints probably being posted in the future.